USB Tape Express - A Tiny And Portable Cassette Player ! This is a tiny portable cassette player that is able to let you rediscover the precious sounds trapped on old tapes. 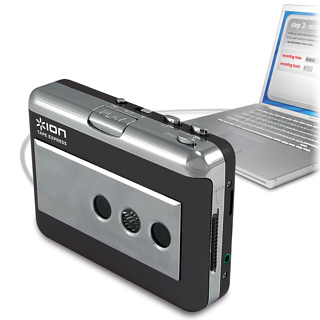 At the same time, this tool is able to convert the trapped sounds into perfect digital files. All you have to do is, just plug it into your computer and this software will start convert your recordings and you can save them on CDs, archive them in iTunes or transfer them to your MP3 Player. This tool is compatible with both PC and Mac operating systems.